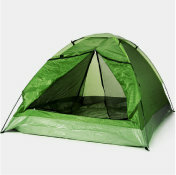 Camping equipment constantly faces damp weather, collecting moisture and creating a perfect environment for mold growth. Chances are, if your camping equipment has a musty, stale smell, it’s because mold has grown on damp materials such as tent canvases. 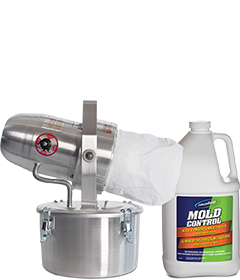 Remove those smells easily with Concrobium Mold Control. Spray the affected area with Concrobium Mold Control and allow to dry thoroughly. As it dries, Concrobium will crush the mold spores at the root and kill any existing mold. Scrub the surface with a Concrobium-dampened cloth or brush to remove remaining mold residue. 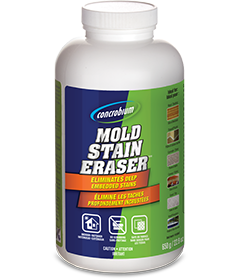 Deep and embedded mold staining may be difficult to remove, and may require the use of Concrobium Mold Stain Eraser. 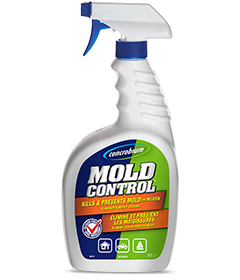 Reapply Concrobium to ensure a layer of Concrobium remains on the surface to prevent future mold growth. For treatment of moldy, musty smells inside your tent, try Fogging. An enclosed tent gives you the perfect opportunity to use Concrobium with a fogger to gently mist the product, effectively eliminating mold and musty smells. On a warm, dry day, open all the doors and window flaps of your tent and lay it out to dry. A fresh flow of air will dry up any remaining moisture and help prevent mold and mildew from forming.